Fixing a corrupted usb flash drive is too simple .Sometimes you are trying hard to format usb flash drive with windows format ,but no response and you can't able to format flash drive in the end .The right solution for formatting any usb flash drive is updating it's firmware .Today we will explain how to format and update Ameco MW8209 firmware .Follow the next updating flash firmware tips . First you must know your flash chip vendor and make sure that it's Ameco MW8209.If you don't know how to do this , visit this article "How to repair usb flash drive in three steps " . Download Ameco MW8209 firmware software in the end of this article . Insert your corrupted usb flash drive to your computer . 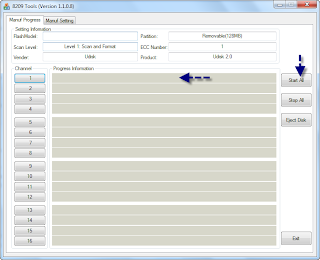 If your flash drive vendor is Ameco MW8209,You will see your flash drive in software window. 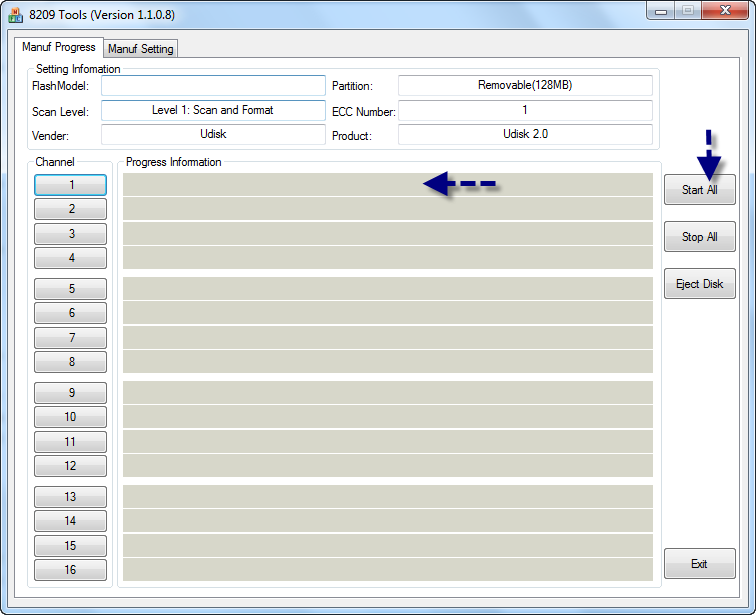 Ameco MW8209 software begin to update your flash drive firmware . Just Wait 2 Minutes until finish updating flash firmware . Congratulation my bro now your flash drive is a new one .